Meet Fairfax County's storytellers, and then create your own travel story. The country's most visited historic estate invites you visit and explore. This Smithsonian museum is the sister facility to the museum on the National Mall. Check out our list of fun Easter related events happening throughout the area. Stargaze party on 4/20 using our telescopes to observe planets, stars, and more. Fun family activities all week long from 4/15-4/21. Find a pet-friendly spot in Fairfax County! Find hotels close to a Metro station. Looking for a hotel in a specific area? Use our handy hotel map! When you're in the mood to dine al fresco, look no further than our list of restaurants offering a range of outdoor seating options. Browse our dining deals to save some dough on your next meal. Try your hand at one of our local chef’s recipes. From metro stations to hotels to attractions, find the map you need most. Carry all there is to see and do right in the palm of your hand. Check out our calendar of seasonal festivities happening around the region! From Civil War battlefields to DC monuments, here's your guide to the area. The urban center of Fairfax County, Tysons is a destination of its own. 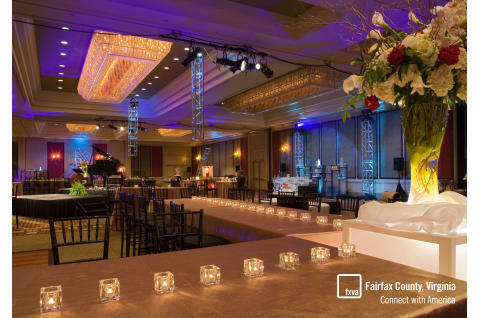 Fairfax County is a great area to host your meeting or event. From meeting hotels to unique venues, immediate access to Washington, D.C. via the Metrorail, and incredible group-friendly attractions and dining, Fairfax County is waiting for your call. 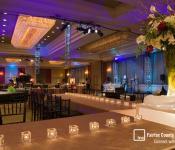 Image: Hyatt Regency Reston. 2019 FXVA, All Rights Reserved.